‘Disgraceland’ reads like a premonition of their own burnt-out, psychopathic breakdown, their rock’n’roll joyride swerving off down dark, deadly roads. It’s an album that displays great faith in the late 70s/early 80s nexus of bar rock, punk, and 50s nostalgia, meaning that its melodies, riffs, and aesthetic choices often charm (to a point), even as its narratives mystify. 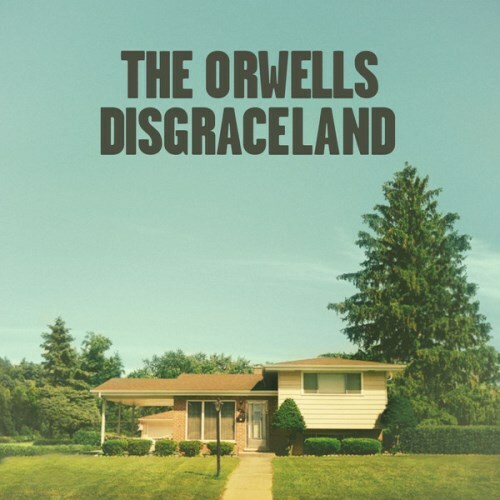 The Orwells are another third wave post-punk garage revival band hailing from Chicago. Their youthful energy though helps separate them, however it seems like there is far more lofty sights set for this band that been a scene. Favorite tracks: Dirty Sheets, North Ave.
Nice mixture of rock tradition and punk tension that leads to a groovy night out in the streets. Purchasing Disgraceland from Amazon helps support Album of the Year. Or consider a donation?